Take part in the online conversation about your locations to protect and grow your brand’s reputation. 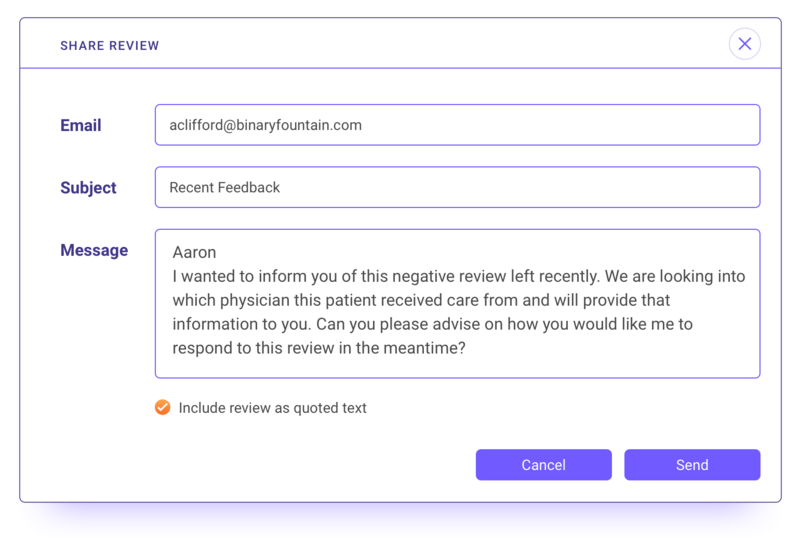 Monitor, assign, approve and publish site specific responses without having to sign-in into a review site. Prove you are customer-centric by responding to the good and bad of what consumers say. Actively managing listings on popular review sites can drive more traffic and win new customers. Alerts show you when reviews get posted. This makes potential service recovery speedy. 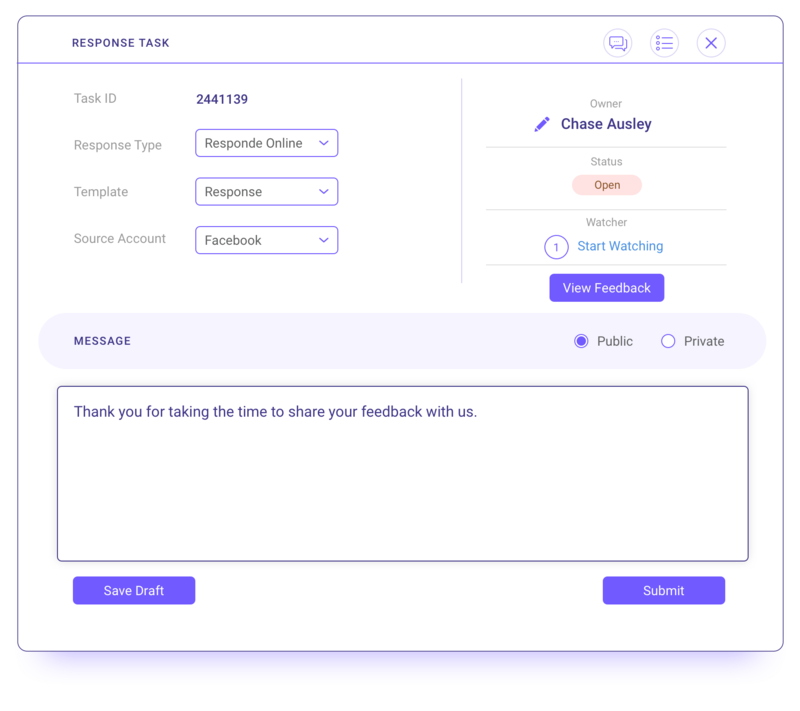 Custom workflows and templates make keeping up with reviews easy. In-app responding means you can manage it all in one place. 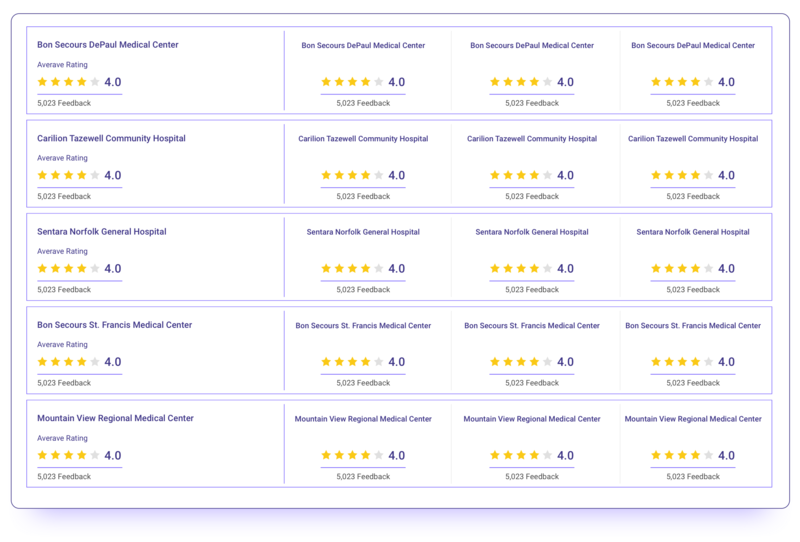 Want to see how we help companies monitor and respond to reviews at impressive scale?